Ah, the holiday grind begins! It’s no secret around these parts of the blogosphere that it’s my favorite time of year, and as we’ve been blessed with sub-80 degree temperatures for the better part of the month, I’m already heading into Thursday extra thankful. But on behalf of Russell, I want to extend our heartfelt thanks to our clients, past and present.  You’re the backbone of everything that PR/PR does, and we’ve learned so much from each and every one of you. We’re thankful for the relationships that we’ve built over these 20 years, and the growth we’ve experienced as a company from working with so many talented people. This Thanksgiving, we’re thankful for you. We hope you all enjoy this week’s festivities, your friends, family, and food, and we look forward to heading back to the office ten pounds heavier next week.